Yes you read right – in this class, you don't learn 6, 12, 18 but twenty five gorgeous buttercream blooms! 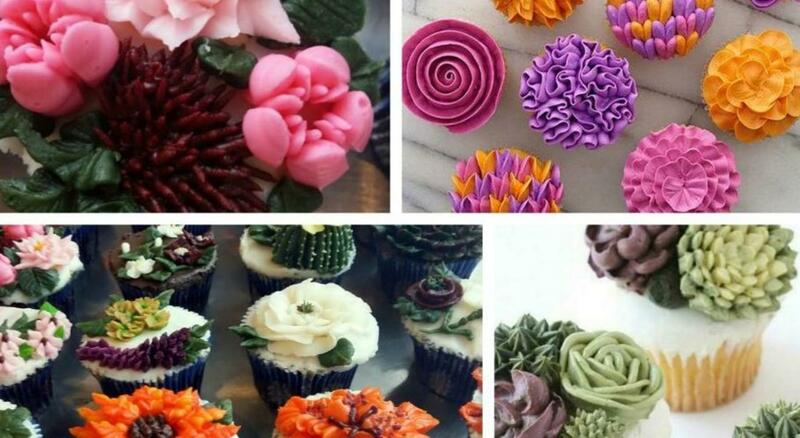 This massive class will cover all the fundamentals of piping with buttercream and get you up to date with the biggest comeback in the cake decorating world this year – piped buttercream flowers! Ideal for those who are creative and would like to create stunning art from a soft icing. Plenty take away for a professional as you will add tonnes of piping techniques to your repertoire which you can also use for a lot of other flowers - once you have learnt these stokes, no piped flower will be too difficult down the road. We will be concentrating on piping skills that will build your confidence on creating stunning and elegant masterpieces. We will also teach you about how to cleverly choose your colour scheme to match your theme weather it is vintage, couture, monochromatic or fun and vibrant. You will be given recipes for our special buttercream recipe that we have perfected to suit indian weather conditions and tastes scrumptious. this plus lots of tricks of the trade will be yours to take home by the end of the class. Learn to work with the hugely popular russian tips and create amazing 3d flowers in a flash. The class is completely hands-on, you will learn to pipe amongst others the following flowers: violet, daffodil, craspedia, cactus, the rose, tulip, calla lilly, magnolia and so much more!